Welcome to Hilton Progressive Dental! 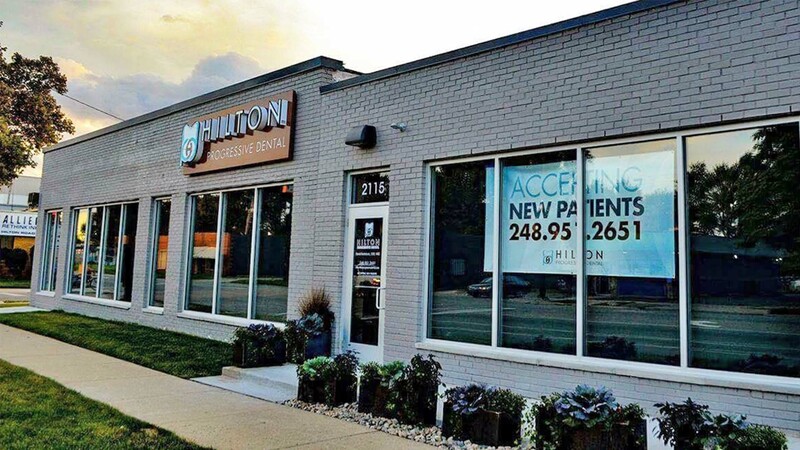 At Hilton Progressive Dental, we pride ourselves on establishing trusting partnerships with our patients and achieving the most outstanding treatment outcomes. Offering the most comprehensive range of dental services available today, we help patients maintain optimal oral health as well as attain their smile goals. Providing skilled and compassionate care, while tailoring every treatment plan to suit each patient’s specific needs, are the keys to our success. As a dentist in Ferndale, our commitment to excellence has earned us a reputation as a leading practice in the community. Always maintaining a position at the forefront of advances in dental care enables our office to provide you and your family the most effective and comfortable treatment methods utilizing the latest technology. Today, even the most challenging smiles can be transformed into ones that will inspire confidence. Whether your visit is for a dental checkup, preventive and restorative care, cosmetic dentistry or a dental emergency, you are in the best of hands at Hilton Progressive Dental. At Hilton Progressive Dental, your trusted dentist in Ferndale, we strive to make your dental experience hassle-free. We work with many dental insurances, and offer a number of financial options so that you can begin your care without any unnecessary delay. Please feel free to browse through our website or to give us a call today. Our office is located at 2115 Hilton Rd, Ferndale, MI 48220. Please enter your zip code or city, state below for door-to-door directions. As a patient of Hilton Progressive Dental, you’ll arrive knowing with confidence that your specific dental needs will be met. You’ll leave feeling and looking your best. Or click the button below to request an appointment. The entire staff is wonderful! I have a fear of dentists and dental procedures. They sat and discussed everything with me before hand. Heather was very patient while taking my x-rays. The appointment moved at my pace and I felt no pressure and absolutely no judgement! I will be referring everyone I know to this office. Great staff! A professional who takes time to explain everything thoroughly, and make the patient feel comfortable. Has the best equipment. Will take great care of your teeth! I will be back, and I will recommend them to everyone I know. Thank you guys so much!